You can access instant report sharing in report view window. Click on the report you would like to share, and select Open report. 2. This will take you to the page where you can select custom dates for the report using calendar or its shortcuts. 3. Once report has refreshed and shows the data for the selected period, and you are done editing the document simply click on the Share report button in the menu. 4. 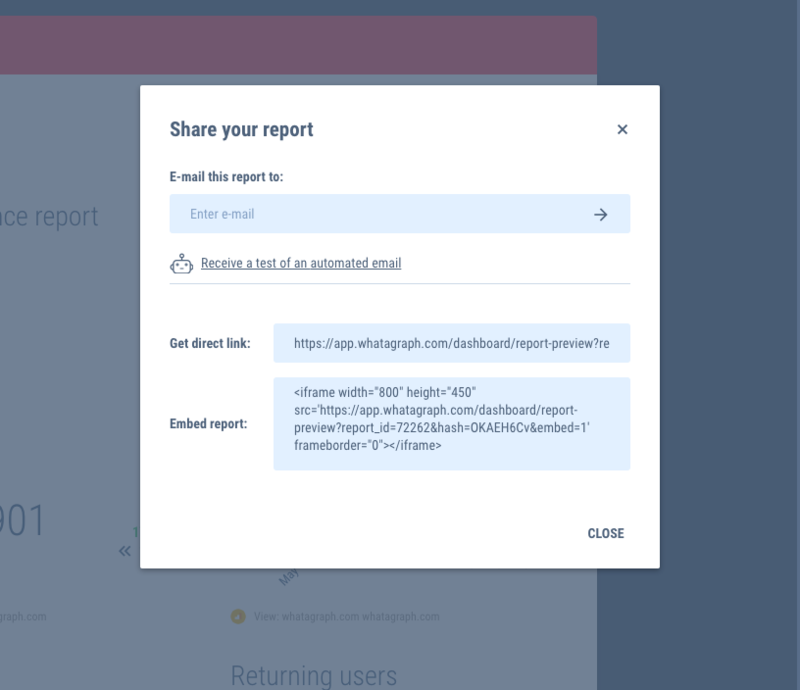 You can share your report by sending an e-mail, direct link or embed report tag.